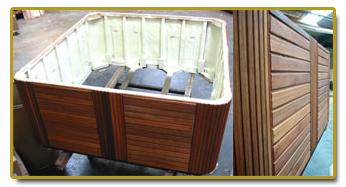 The skirting is clear imported mahogany on a structural frame with all pressure treated wood on the ground. 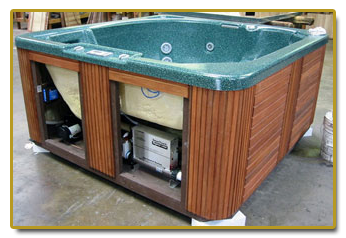 All spas have thermal pane insulation. 2 Lb. Density Foam Insulation. 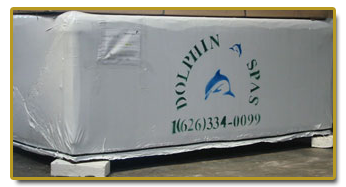 A great deal of care is put into each Dolphin Spa.